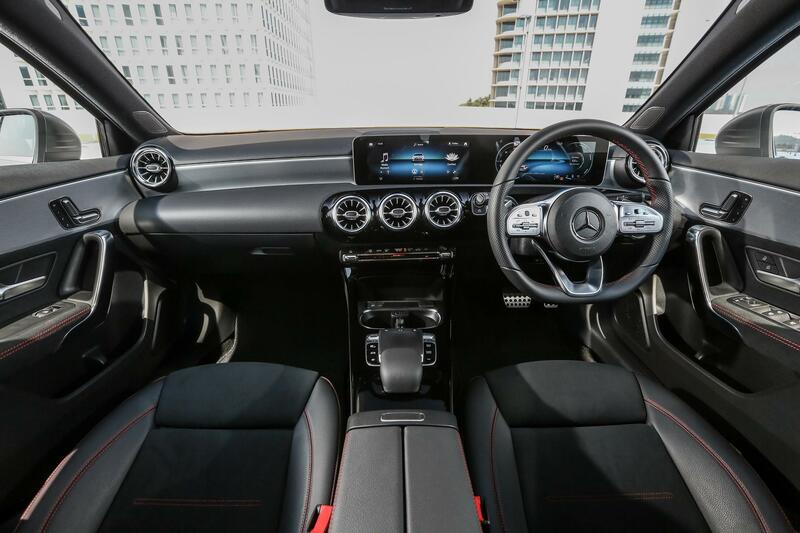 The new A-Class is here and it’s awesome but have you heard about that new infotainment system? 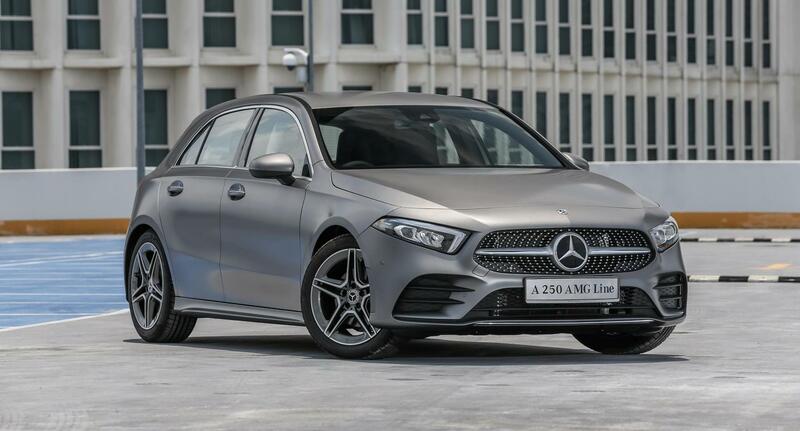 First things first, we’re not exactly fans of the way the all-new W177-generation A-Class looks. 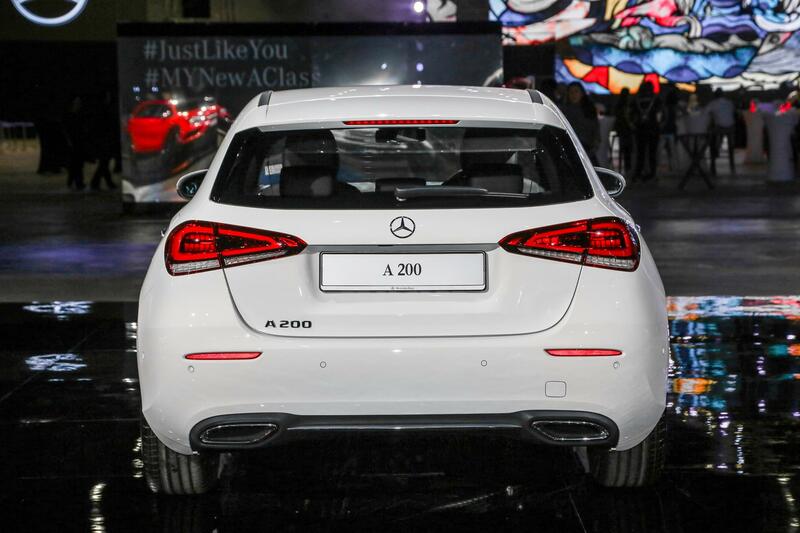 Mercedes-Benz Malaysia launched it in A200 and A250 trims priced at RM227,888 and RM263,888. 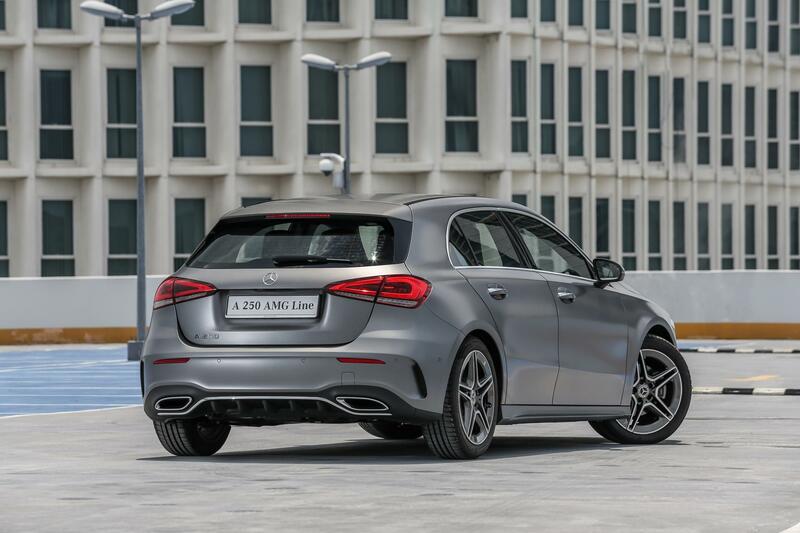 Looks aside; which is subjective anyways, the hatch is bound to be another hot item for the best-selling premium marque in the country. 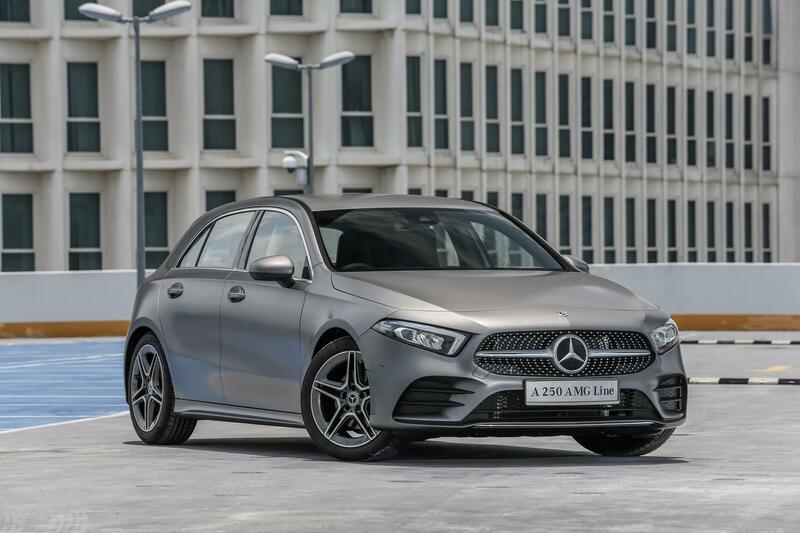 What really got blood flowing into our large, throbbing hearts however is the all-new Mercedes-Benz User Experience (MBUX) infotainment system that runs on Artificial Intelligence (AI) able to recognise natural language to control features in the car. 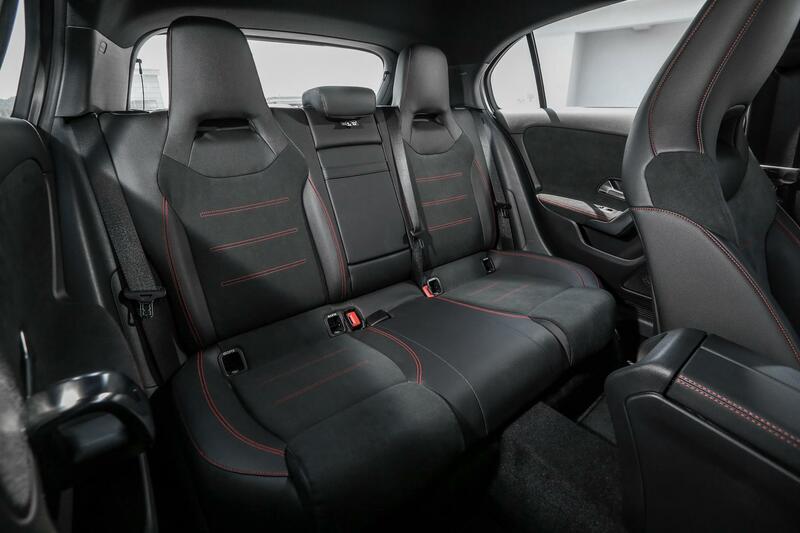 Granted, there hasn’t been any conversations yet with the system but other outlets have accessed it prior and the reviews place as among the best; if not the best, interface in any car. Before getting into down and dirty with MBUX, let’s get the basics out of the way. 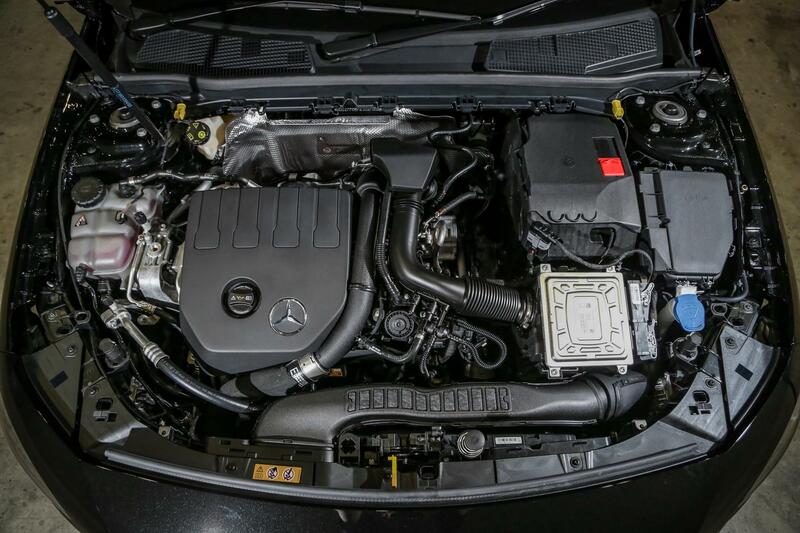 Under the hood of the A200 is a 1.3-litre turbocharged inline-four that delivers 163hp and 250Nm to the front wheels via a seven-speed dual clutch box. 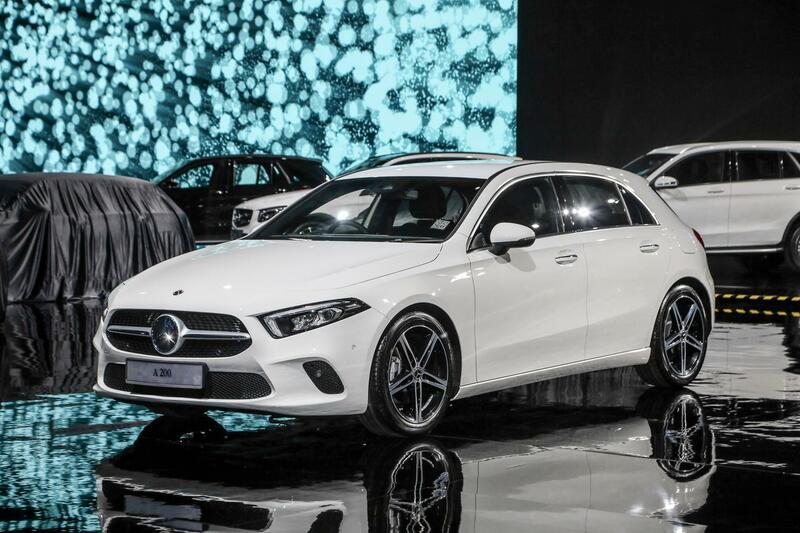 What you will get on the entry-level spec are 18-inch wheels with run-flat tyres, LED headlights, synthetic Artico leather seats, a multifunction steering wheel and black lime wood trimmings. 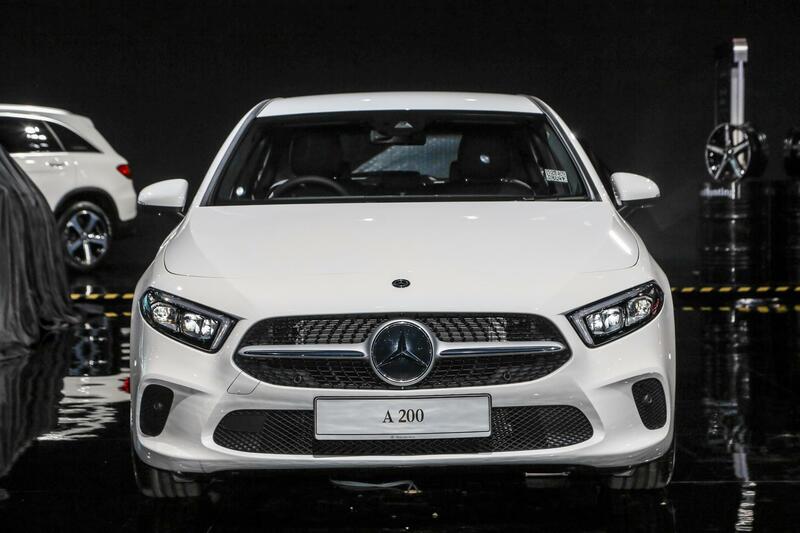 Splurge on the fancier A250 and you’ll first be greeted by a more familiar 2.0-litre turbo four with 224hp and 350Nm of torque paired with the seven-speed dual clutch transmission. 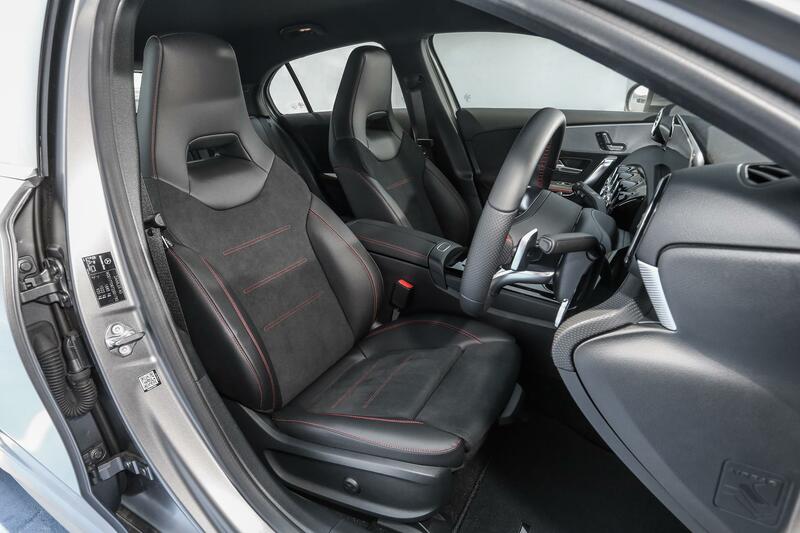 Additions or upgrades over the A200 comprise an AMG Line exterior and interior pack, 18-inch AMG wheels, Nappa leather multifunction steering wheel, Sports seats with the faux Artico leather and Dinamica microfibre and aluminium trimmings. 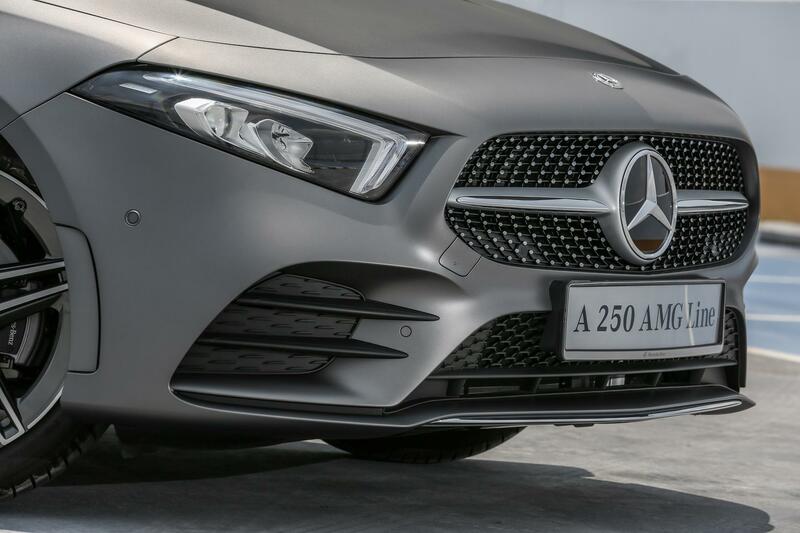 Standard fitments on both cars include Android Auto and Apple CarPlay, the keyless entry and push-start combo, ambient lighting, power-adjustable front seats, Thermatic auto air-conditioning, navigation and Linguatronic as well as Active Brake Assist, Active Parking Assist and Automatic High-Beam Control. MBUX (pronounced by saying each letter individually and not Emm Bucks) is found on both variants. 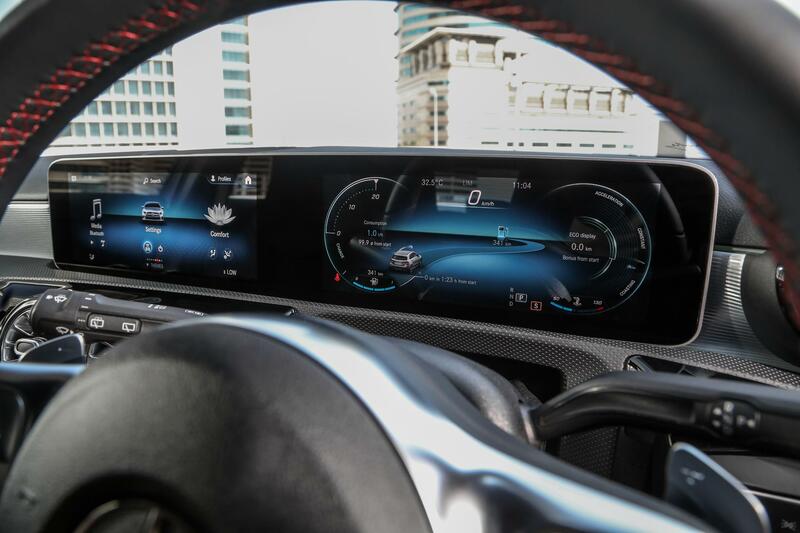 The main interface is the dual floating 10.25-inch displays up front that’s old hat with one for the infotainment system and the other functioning as a digital instrument cluster; nothing new for a Mercedes-Benz. Voice commands aren’t new in cars but the ability of MBUX to recognise commands in casual terms is a huge leap ahead of the game. 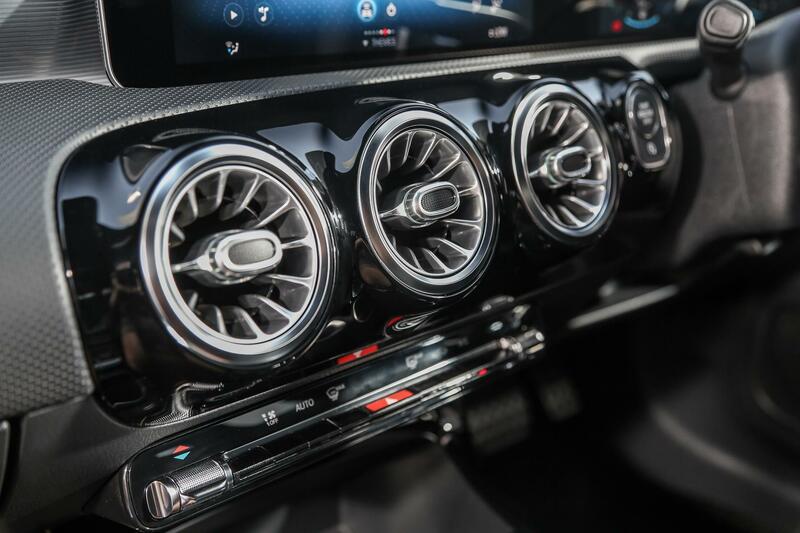 It’s runs on Nvidia’s GPU tech and is proper AI, meaning the system learns your preferences and will be more intuitive to your needs as time passes. 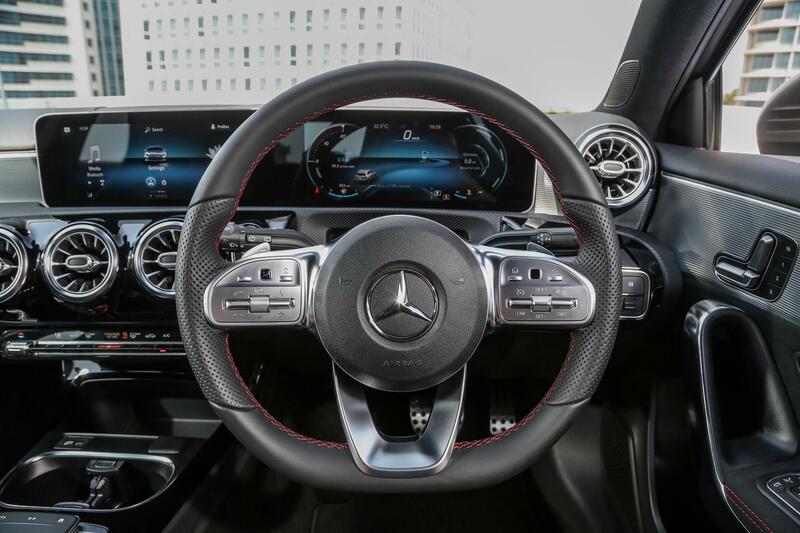 The voice control element is the most exciting aspect of it although it can be controlled by the touchpad or a button on the steering wheel. 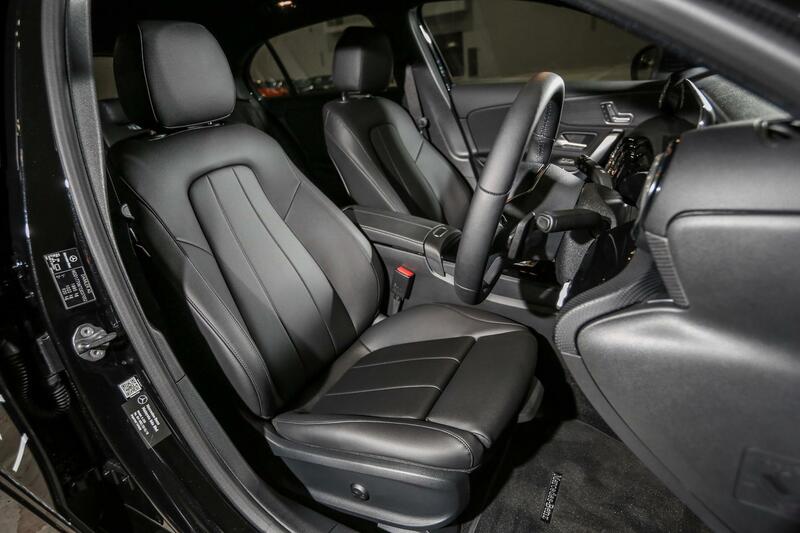 To wake it up, simply say “Hi Mercedes” and you can proceed to give out your voice commands. What it can recognise and perceive isn’t quite there yet but it’s definitely ahead of anything else on the market. For example, saying “I’m cold” will see it raise the air-conditioning temperature. Additionally, you can even ask it for restaurant recommendations or the weather forecast. 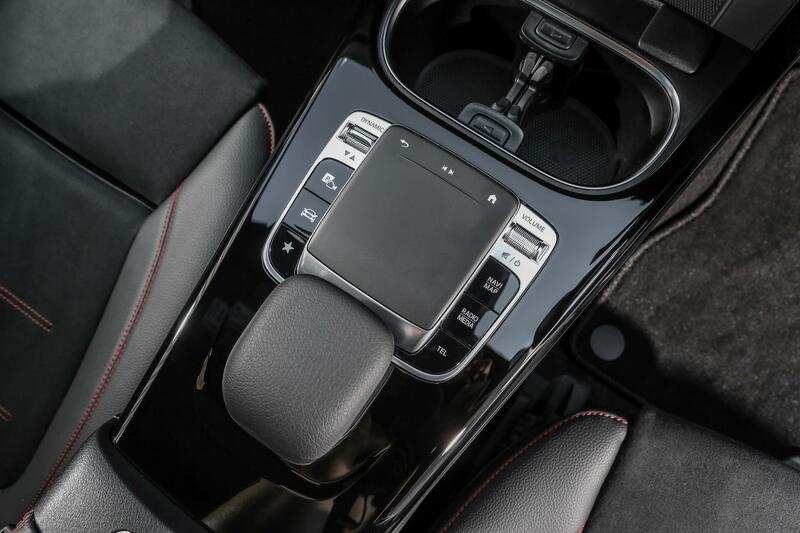 Yes, just ask it… not use alternative forms of input although the pad and buttons are there for those that have difficulty talking to their car. If you have no issues asking a dog who the good boy is, you can ask your car to handle the music. Simplicity is a key element of its operation. As it learns your preferences and even schedule, MBUX will present them through a “suggestions” shortcut that’s one tap off the main screen. 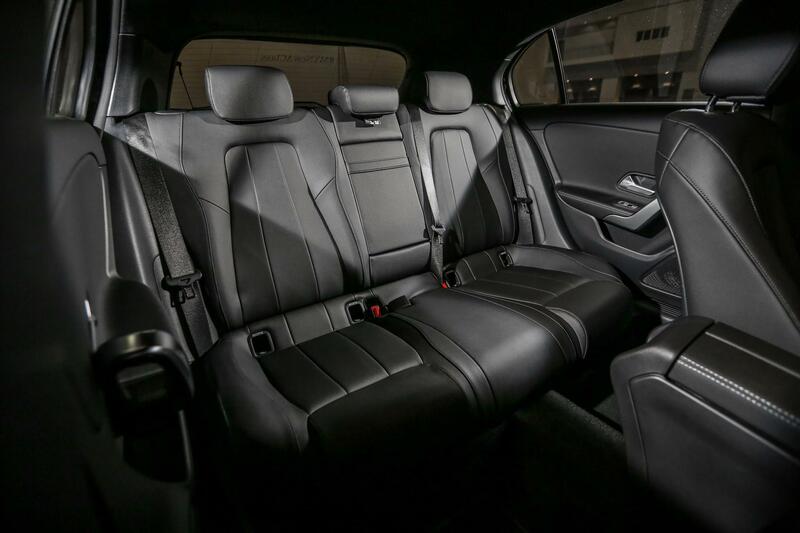 This includes the common functions such as music, navigation and cabin ambience but isn’t limited to it. 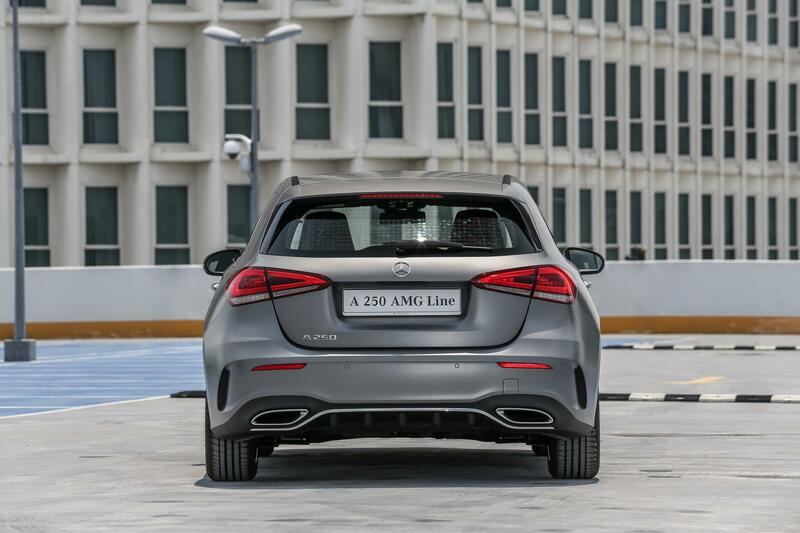 Profiles for each driver allow hopping between different Mercedes-Benz vehicles packing MBUX. 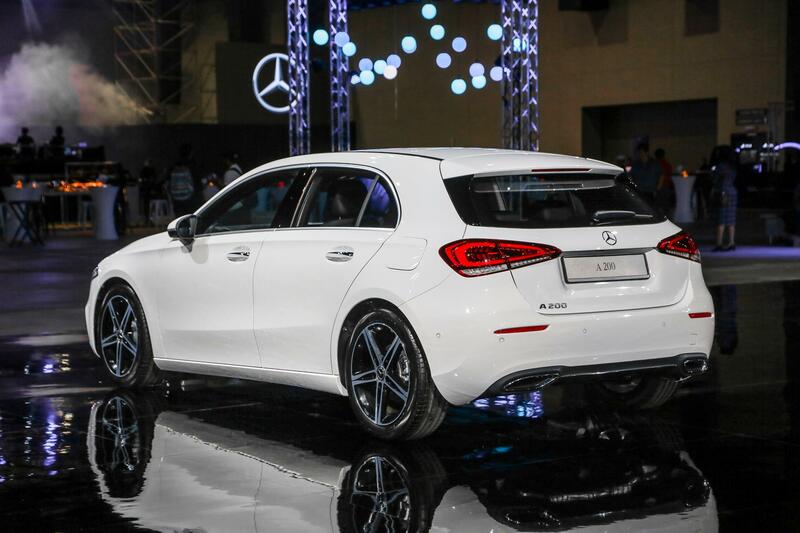 It’s undoubtedly going to lift the brand to new heights and keep them ahead of the infotainment game for years. 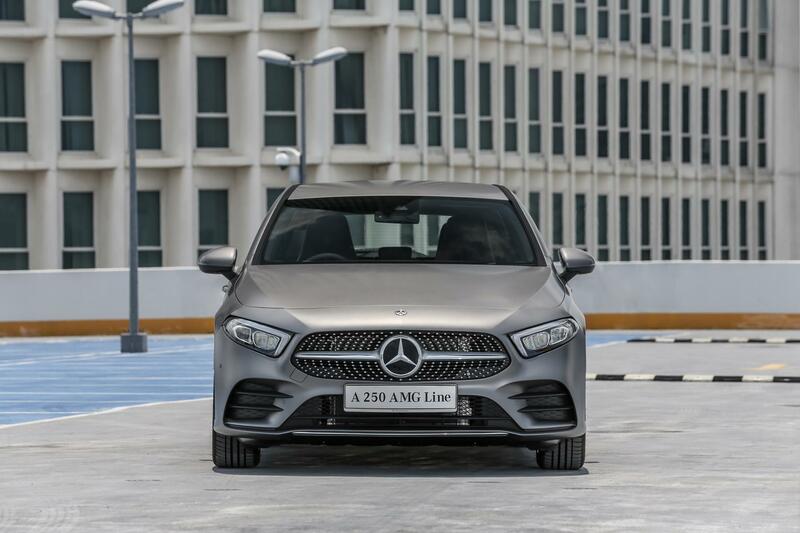 Lastly, Mercedes-Benz Financial makes it easy to own an A-Class with financing starting from RM1,988 a month and includes insurance and scheduled maintenance. If you sign on the dotted line before the end of the year, you’ll receive a complementary tyre and rim insurance for the first year.